Harrietville Hotel Motel, 169 Great Alpine Road. Ph 03 5759 2525. 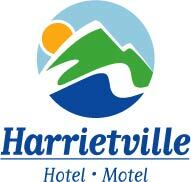 Stay at Harrietville Hotel Motel and enjoy our clean, spacious, warm and comfortable motel rooms, with ample free parking, as the perfect base for your recreational activities. The on-site Redgum Bistro & Garden Bar offers delicious Pub food and Pizzas 7 Days a week for Lunch and Dinner. Whether you are visiting for the ski seaons, hiking, cycling or part of a motorcycle or other social group, our Triple and Quadruple rooms can comfortably sleep couples to small groups. Harrietville Hotel Motel, 169 Great Alpine Road.